We all have them. Those things we do at holidays, or for birthdays, or for other occasions. Things specific to us and our families or group of friends. I even wrote about one this week in my next release – though it has more to do with royal succession than birthdays or Christmas. Many of my family’s traditions sneak into my books, as I’m sure they do for many other authors. This year, my family is starting a new one – sort of ;). I’ll talk about it at the end. With holiday season upon us, I thought it might be fun to talk about them :). We just had Halloween which is sort of the traditional “last thing” before the holidays in the US (see what I did there ;)?). We don’t have many Halloween traditions. My oldest wanted to start a new one by having some friends over and using a fire pit in the driveway while handing out candy. Then it rained all night. I think we had 9 kids stop by. She did have some friends over to hang out though. Maybe next year. Next week, in the US at least, is Thanksgiving. Traditions abound there! We usually get together with Grandma the day before and make sugar cookies (yum!). Grandma and her husband and my sister come over for Thanksgiving lunch – usually around 1. Our menu is pretty basic. A lot of food, but it doesn’t vary much and we all split what we’re bringing. And we eat those cookies. Then send some of them out shopping when the sales start. I stay home and… coordinate ;). For Christmas, we get together with both sides of my husband’s family and my family at different times, usually before Christmas, but not always. 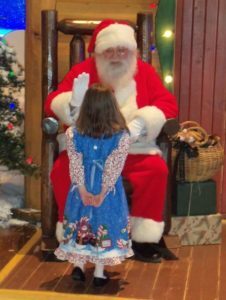 For many years, first thing on Christmas Eve we would go see Santa at Bass Pro Shops (we live near the original store and they have THE BEST Santa). My kids are too old for that now (crying face!) so we don’t. Christmas Eve evening, we go to church. Santa swings by our house and brings everyone new jammies and leaves them under the tree while we’re gone. We read three books – The Night Before Christmas, The Soldier’s Night Before Christmas*, and The Three Threes. Hang up stockings. Go to bed. Christmas morning, the kids are old enough to sleep in (yay! ), but they’re never allowed in the living room until we say so. All the presents appear over night (the last few years, tradition has been wrapping until the wee hours – I don’t like that one so much!). I call my sister to let her know we’re up, start some cinnamon rolls, then the kids open their stockings. My sister gets there, we eat, then we read the Christmas story and open presents. We spend the day in our pajamas and usually watch movies we got that day. I usually take a nap (because of the present wrapping “tradition” ;)). New Year’s Eve we spend with some good friends of ours. It started when my oldest (now 17) was one. We went to an event with the church but it was so crowded we left and went to their house. We’ve gotten together almost every year since. In recent years, we do appetizers for dinner. Until a couple years ago, one of our NYE traditions was setting all the clocks in the house ahead an hour, watching the ball drop live in NYC and then getting the kids to bed slightly earlier ;). We still kind of do that, the kids just know. But our Thanksgiving traditions are changing, at least for the next two years. This year, my husband and three youngest kids are going to his dad/stepmom’s house for Thanksgiving. I’ll be freezing my tush off on the streets of New York. Because my oldest daughter? The one who plays tenor saxophone and wants to be a band director? She’s been invited to join Macy’s Great American Marching Band for the next two years**. This year, a friend of mine and I are going. Next year, we’re taking the whole family. I don’t anticipate it becoming a life-long tradition, but it’ll be great fun for a couple of years though. So if your family watches the parade, know that I’m there shivering while you do ;). If I can get enough signal (what with 3.5 million people along the 2.5 mile route and all – and maybe more since it’s supposed to be fairly nice), I’m going to live stream the band walking by wherever we’re stationed. You can “follow” my Facebook profile if you want to watch (if we can’t stream, we’ll post the video later). What about you? What are some of the traditions your family observes for the holidays? One lucky commenter will get a Christmas ebook set – all three*** of my Christmas books :) – Gifts of Love, Manuscripts & Mistletoe, and Premieres & Paparazzi. *The true story behind A Marine’s Night Before Christmas. When my sister worked at a print shop in 2003 or so, she made us a copy of the Soldier’s Night Before Christmas. For many years, we thought the one we read was the Marine one and I may try to make a less fancy book of that one since it’s what we thought we had all along – and in honor of my husband’s best friend who is a Marine. From a purely writerly standpoint, I like the Marine one better. **More details can be found here. ***Two are out now. One was out in a set last year. I’m HOPING to get the expanded version out before Christmas this year. Hi Carol, enjoy the big parade, how very exciting for your daughter:) Christmas is in Summer here, I cannot imagine being in snow! That sounds like great fun! Christmas in summer does seem super weird to me though ;). Even though I know it’s a thing for literally half the globe. Hi Carol! Thanks for sharing your traditions. Enjoy your time with your children while they are still living at home. Especially enjoy the time with your daughter at the Macy Parade in New York City. The Thanksgiving and the Rose Parades are my favorites, which I watch yearly. Now that we are empty nesters and our parents are deceased, holiday traditions have changed. Since I watch the grandkids four days a week and interact with my older sons, we only have family gatherings around Easter and Christmas. One German tradition which has passed on to their families is celebrating St. Nikolaus Day on December 6. Now that we no longer have fur babies, this year hubby and I are starting a new tradition – going on a mini vacation for Thanksgiving. I enjoy visiting Christkindlmarkts, but not the cramped one in Chicago – even though I enjoy the lights of the Magnificent Mile and remembering the awe of the 10 Christmases we spent there. This year we will be visiting the Christkindlmarkt in Carmel, Indiana (near Indianapolis), which is unique because of German imported 30 foot high with 3000 lights Pyramid, a favorite Christmas decoration. A slice of Germany – no passport or 8 hour flight required. Best wishes and happy holidays. Oooo! I don’t know what those markets are but they sound fun! Hope you have a great time! What a wonderful opportunity for your daughter. 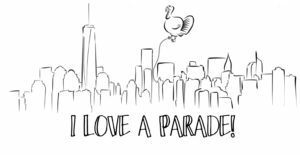 I would love to watch the parade in person just once. Have a blessed Thanksgiving. I’m super excited about it but also wondering if I’ll ever warm up afterward ;). And it’s not even going to be that cold! How exciting for you and her! Enjoy the experience. For Thanksgiving dinner my immediate family always goes to Golden Corral and then that evening we watch “A Christmas Story”. It’s pretty low key, but we enjoy it. Nothing wrong with lowkey! That’s how our Christmas is! Congrats to your daughter! I hope you both have a lovely trip. How exciting! I’ll be watching the parade from the comfort of my living room, but if my son was playing his trumpet you can be sure I’d be there too. Have fun! We will! I’m hoping I won’t freeze my tush off! Wow, Carol….had to take a deep breath after reading the fun times ahead for you! Enjoy them all! We are a small family…look forward to more time together! Time together is the best part of the holidays! As a child I remember going to the Macy’s parade and seeing people’s kneecaps. I don’t remember the parade. How exciting for you and your daughter. We will have thanksgiving meal at our house with most of our kids and grandkids. Black Friday shopping for those so inclined and them food and games at my oldest daughters house on Friday. Part of them will be visiting family elsewhere. For Christmas we’ll all be together possibly at my sons house. How fun! Enjoy the time with your family! I’m at a hotel through tomorrow writing like the wind! But I’ll be in and out today. Right now I’m out picking up my kids from early release day. Because my oldest has never driven in snow before. Headed back to read the comments! That’s so awesome about your daughter, Carol. What a dream come true and something she’ll always remember. I’m so excited for her. Carol, how exciting! Stay safe and have a blessed Thanksgiving! 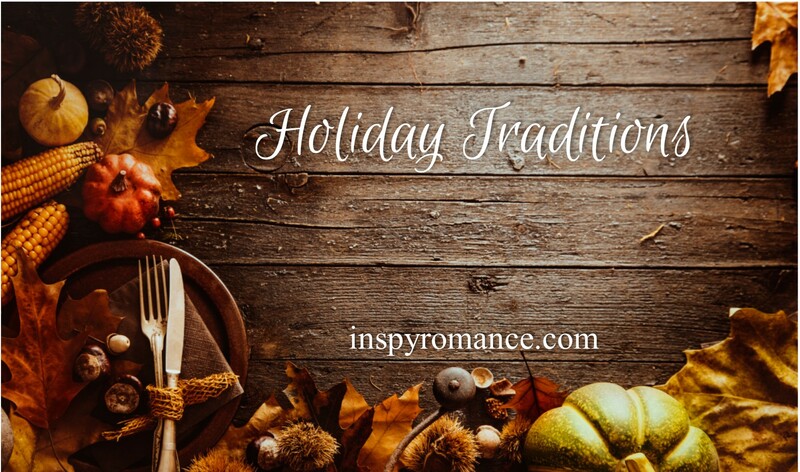 Thanksgiving traditions varied from year to year until I became homebound. With divorced parents there my sister and I would go to my mom’s at some point, but I think it might not have been on Thanksgiving day exactly, depending on the year. With my dad we often went to my sister’s boyfriend’s (now husband) family farm. Before that we would sometimes be at home, others at various friends houses. Your Christmas Eve tradition sounds like what used to be the case in my family (dad’s side) as we always went to NJ to my grandparents’ house as soon as school was out. (All day /night car trip from GA! I loved it but my dad was very glad when my older sister got her learner’s permit to share the driving. That ended when I became homebound in 1992.) But the present wrapping until the wee hours by my dad, Aunts, Uncles, and grandparents was something we heard about a lot!!! Plus putting together any items that required it such as bikes for my sister, scooters, ect. :) We still talk about it on the phone with my aunts & uncles! :) Then the room with the tree would be locked and foam put under the doors so no little ones could peek before everyone was there and we were allowed to start opening presents. With so many people it took hours.